This week is #ComedyBookWeek started by the wonderful comedy writer Ana Spoke and I have had the opportunity to interview a great writer and friend Margaret Holbrook. I often cite my influences at my events and one of the authors who helped me throughout the writing and publication of Our Doris is Margaret Holbrook. Margaret is an indie writer I met through the Macclesfield Creative Writing Group. Her work encompasses the entirety of literature with a great wealth of prose, poetry and script under her belt. Margaret’s second book Cul-de-Sac Tales is one of the major inspirations in how I chose to set out my book. Cul-de-Sac Tales is a series of comedic vignettes that focus on the residents of a cul-de-sac, each short focuses on a different month of the year. All told from the perspective of Rita they are a rather stupendous read. What was your inspiration behind Cul-de-Sac Tales? MARGARET: I came up with the idea for a character, who then turned into Rita and decided to give her a voice. She had to live in a cul de sac, it would give her a confined territory to operate from. The other characters followed easily once I’d finally shaped up Rita and her husband, Sid. 2. Why did you choose the format of interlinked stories? MARGARET: Cul de Sac Tales was originally going to be one short story, Bungalows, Cul de Sacs, Neighbours, (the first chapter in the book). It was after that story’s first airing that it was mentioned to me that there could be a series of stories based around the cul de sac. I gave it some thought and began writing, knowing right away that there would have to be a link or some common ground for the story to work as a novella rather than a series of complete pieces. 3. Do your characters draw from people you know in real life? MARGARET: The characters are totally fictional but some of the things that happen to the characters in the book have actually happened and some of the things the characters say I have heard people say. It’s amazing how good public transport and cafes are for giving unintended inspiration. 4. Will there be any more tales from the cul-de-sac? MARGARET: It has been suggested to me by readers that they would like to hear more from Rita and her cul de sac neighbours, but I’m not sure that they will. 5. Have you any more projects in the pipeline? MARGARET: I have a novel that should be out later this year and a poetry collection due out early next year, plus a novel to complete and a collection of short stories – enough to be going on with! MARGARET: I’ve always written, I just needed a spur to make me pay it more attention. That spur came when I joined a writing group in Macclesfield. 7. When did you decide to become a writer? MARGARET: I said when I was 7 that I wanted to write books…and a long time further on I’m pleased to say that I’m doing it. 8. Is there a special time of day that you write? MARGARET: No! I just write when I can. 9. Do you plot books beforehand or write them off the cuff? MARGARET: My books are plotted, my short stories are not; they are just written when an idea comes to me. 10. Why did you choose to publish your books independently? MARGARET: Finding an agent and finding a publisher are both difficult and it seems the older you are the less likely it is to happen so I decided to take the bull by the horns; life’s too short. 11. What would you say are the main advantages and disadvantages of independent publishing are? MARGARET: The advantages are that I have control over all elements of my books, and that’s a huge thing. 12. Are there any authors or books that influence your writing? MARGARET: I read a lot of stuff by many different authors but I like to think I write as me. I hope not to be influenced. 13. How can readers find you? Events page not to be missed! Also check the shelves of your library or bookshop, I might be there, and if not ask! Thank you to Margaret for answering these questions. If you haven’t read Margaret’s work before then you ought to, she explores various genres and is doing wonders as an indie writer. In April 2011 I joined the Macclesfield Creative Writing Group, a new writer’s group in my hometown. Over the last years I have written various snippets of prose that have arisen from the writing bursts we embark upon each week. I used to find writing freely for fifteen minutes incredibly difficult and one week in a burst of inspiration I started one of the writing bursts with the line, ‘Our Doris has developed an unhealthy obsession with slugs’ and wrote a page about a long-suffering husband who is relating his experiences in the form of a dramatic monologue. Over the next few weeks I began to write about Doris and her husband as she went about her day-to-day life, usually with the story relating to the writing burst we were given that week. Doris grew into a character similar to Hyacinth Bucket with more curse words and the wherewithal to throw dictionaries at reporters who don’t stay on topic. A regular cast of characters grew and as time went on I had created an entire village of characters. These characters stick in my head like family as I remember each story they’ve related through Doris. The first flash monologue was published in the group’s anthology Macc Writes back in 2012. Bread can be viewed on Youtube, and on this blog. Since that first monologue, I have performed more monologues around Cheshire, at chapels and libraries, Seven Miles Out in Stockport and most recently at Knutsford Library as part of their Writer’s Forum where I shared the floor with Madeleine Keefe, Mollie Blake, Zara Stoneley and Joy Winkler. 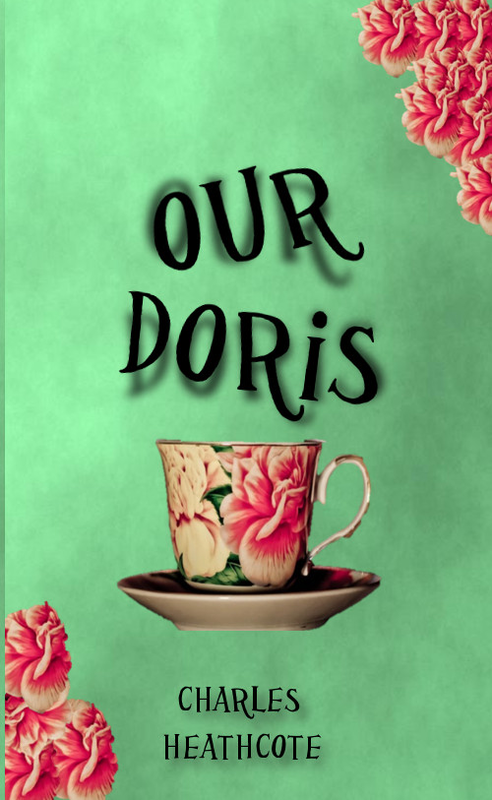 Now after almost four years of living with these characters, I am exceptionally pleased to announce that Our Doris will be a book. 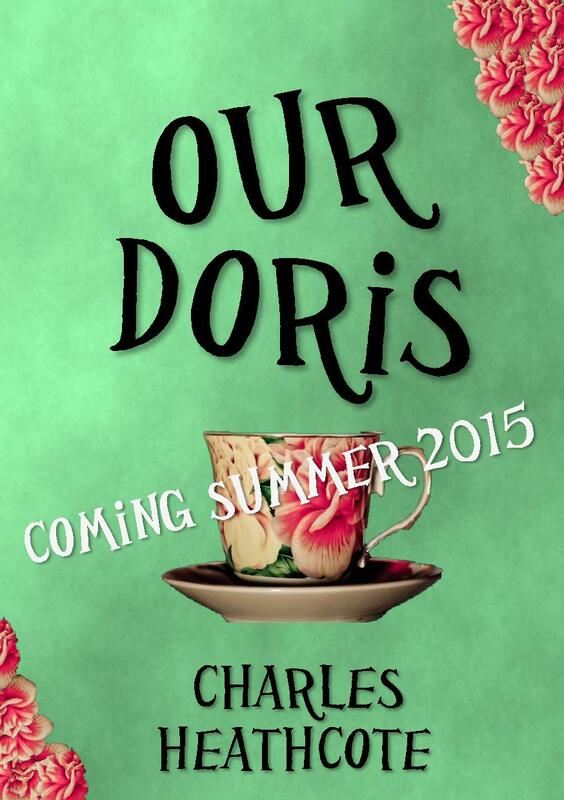 In summer 2015, you will be able to read all about Doris’s endeavours to become fifth house in the local garden safari. You’ll get to meet Violet Grey, husband to the philandering Doug Grey. Doris’s mortal enemy, Janice Dooley of Little Street. And at the heart of it all you’ll meet ‘arold, the gentleman who tells of his wife’s endeavours; after fifty years he’s got a bit of an idea how to deal with her. The monologues have been expanded, characters have been added and the plot has grown beyond anything I could have hoped for when I first wrote that paragraph of ‘Slugs’ back in 2011. The book will be available to purchase via www.variousaltitudes.com and from certain independent book shops throughout Cheshire. Closer to the time of publication, I will hold readings where you’ll hear the monologues in action and have the opportunity to buy the book there and then. Next week I will write about my decision to self-publish the book, but for now I want you to know that I am incredibly excited for the future. I hope that you all enjoy Our Doris because although the book has been difficult at times, and I have worried about my own skills, and despite the fact that life can so often get in the way, it has been an absolute pleasure to write. Until next time that is all.